This is the 200th post on the blog. I’ll be participating this week in the ‘Architecture, Citizenship, Space: British Architecture from the 1920s to the 1970s‘ conference at Oxford Brookes University. For that reason, I hope you’ll forgive a repost – the first to date – of this piece on the Blackbird Leys Estate which seemed appropriate. Rosamund West, who contributed an earlier post on the blog, will be there too, speaking on ‘Replanning Communities through Architecture and Art: the post-war London County Council’. Blackbird Leys, situated on the south-eastern periphery of Oxford, is to all appearances a pretty ordinary, not to say humdrum, council estate. But it’s achieved notoriety. Some of this is typical of unloved and maligned marginal estates throughout the country but it’s loomed larger in Blackbird Leys and came to a peak in 1991 when three days of rioting followed a police crackdown on joyriding. Oxford’s history of town and gown disputation is well-known but the divisions within the city grew after William Morris built his first car in 1913. From those small beginnings emerged the Morris car factory in Cowley, employing some 20,000 people by the 1970s. Oxford acquired an industrial working class and had to deal with it. Blackbird Leys was one response. The city’s population had grown massively in the interwar period and demand for housing was high – there were 5000 on the council waiting list in 1946 and Morris Cars were expanding. Council planners saw the ‘final solution’ to the housing shortage in the development of large estates on the eastern and south-eastern fringes of the city. Planning permission was granted in 1953 on 260 acres of land then occupied by a sewage works and farm in Blackbird Leys for an estate of 2800 dwellings with a projected population of 10,000. The first residents moved in to what was still essentially a building site in 1958. Work continued over several phases into the seventies when the original scheme was largely complete. A further expansion took place with the development of the Greater Leys estate on adjoining land in the mid-1980s. Around 14,000 people live in the area now. A few residents had moved from a slum clearance area in the city centre and some from temporary housing erected during the war. Most of the men worked in the car factory and around half the population in the sixties had moved from elsewhere – from Scotland and Ireland in large numbers and from elsewhere in England – for employment. unlit building sites, inadequate police supervision, parental apathy and the provision of a public house catering mainly for young people, has provided the perfect setting for the idle, the mischievous, and the more sinister night people. Who were these ‘sinister night people’? They surely weren’t as exciting as they sound but the phrase gives an early indication of the power of the media to shape perceptions and spread alarm. I don’t like it up here getting all the tail end. It’s a disgusting place. Putting all the backend up here won’t give people like us a chance to make this a decent place to live. From the outset, Blackbird Leys carried a stigma and many of its people felt ignored or victimised in equal measure despite the fact that it was in these early years predominantly an estate of the skilled and employed working class. There was this big problem of being labelled. People were not able to get credit and hire purchase if they said they came from Blackbird Leys. Even the vicar could not get a phone in without having to pay in advance. None of us knew why. It was a brand new estate with no past as far as we were concerned. 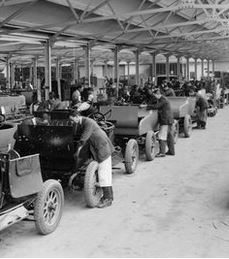 People working at the car works were among the best paid manual workers in Oxford. That was Carole Roberts who had moved to the estate aged 14 from London when her father found work in the car factory. She went on to become a Labour Lord Mayor of Oxford but Blackbird Leys would remain her home. The outstanding feature of the new estate, however, was its demography. It was built for families and in the sixties one quarter of its population was under five years of age, another quarter of school age. There were a lot of kids on the estate and later a lot of teenagers. As to the design of the estate, in a word, it’s unexceptional – which points to both its good and bad aspects. It was solid, slightly ‘boxy’ housing – good accommodation in and of itself though space standards fell in later years. Two fifteen-storey tower blocks with four two-bedroom flats on each floor were opened in 1960s. The Conservative mayor of Oxford who opened Windrush Tower in 1962 described the building as ‘modern living at its best’. But it wasn’t long before the common problems of lack of play space for younger children, lifts breaking down and vandalism of communal areas were being reported. Housing density was relatively high and many complained about poor noise insulation. They put you all so close together yet it’s a big estate. I can’t explain it. My neighbours are friendly and yet it’s not a friendly place. I think it’s because we’re all so close together that there’s always somebody doing something to annoy you, if it’s only music, or lighting a bonfire, or mending a car, it’s because we’re all packed together. The quote also points beyond straightforward design failings to what sociologists have termed ‘neighbourhood sensitivity’ – a reduced tolerance to the behaviour of others reflecting social differences within the community. 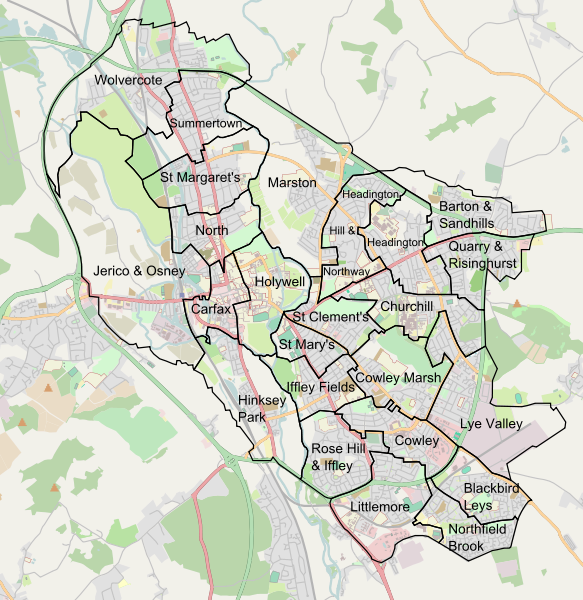 Blackbird Leys – despite the easy stereotype of council estates – was not homogeneous. The divisions which existed between ‘rough’ and ‘respectable’ residents, between owner occupiers (already 20 per cent by 1981) and council tenants, and between those of different backgrounds – though ethnicity itself was never a significant flashpoint – reduced tolerance of behaviours beyond the observer’s norm. Each of these elements are the quite normal features and failings of estates designed in the post-war rush to build – and build economically. But they came together in Blackbird Leys in peculiarly combustible form. The final piece in the jigsaw came in the estate’s changing demographics. The 1977 Housing (Homeless Persons) Act – alongside the unanticipated impact of Mrs Thatcher’s right to buy legislation and the halting of council new-build – ensured that ‘vulnerable’ tenants came to form a large part of new tenancies. This trend was strengthened by the reality that such tenants –in urgent need of housing – were far more likely to be housed in less popular estates with a more rapid turnover of occupants such as Blackbird Leys. At the same time the eighties’ collapse of the manufacturing economy hit the estate’s economic mainstay. By the early eighties, the proportion of male heads of household classified as ‘skilled’ had fallen from half to little over a third. In the same period, the rate of unemployment on the estate peaked at 20 per cent and 50 per cent for those aged 16 to 19. Statistics indicate that by this time Blackbird Leys was a ‘problem’ estate with more than its fair share of ‘problem’ families. To select just a couple of examples, the estate contained 15 per cent of the city’s children and 30 per cent of those under social services supervision; it contained 17 per cent of juveniles (aged 10 to 16) but 27 per cent of those prosecuted for crime. Of course, such figures are not ‘innocent’. Residents felt unfairly labelled and ‘picked on’ by the agencies of the state. The estate’s reputation may also have highlighted problems which were contained or treated differently elsewhere. Still, the sociological fine-tuning didn’t alter the lived reality of an estate seen by outsiders – and, increasingly, by its own residents – as crime-ridden and dysfunctional. The residents’ reporting of their own experience of crime or troublesome neighbours confirms this truth even if it’s understood as a complex one. All this came to a head in September 1991. ‘Hotting’ – the theft of cars followed by displays of driving prowess on the estate’s streets – had become a local sport for some of Blackbird Leys’ youngsters. A police crackdown was met by resistance when up to 150 youths stoned riot-geared police officers. An academic analysis describing such activity as ‘carnivalesque’ is probably designed to enrage Daily Mail readers but the pleasure and meaning of it for participants – in its thrill-seeking and oppositional nature – should be understood. (3) It was correct to blame media attention – some spoke more darkly of media incitement – for giving a distorted picture of the estate but clearly something had gone wrong. These marginalised youth on a marginal estate were expressing something, however inchoately. Another, very different, expression of the local community’s disaffection with the powers-that-be came in 2002 with the election of an Independent Working Class Association (IWCA) councillor, defeating Labour, for the estate. At peak, the IWCA returned four local representatives. The IWCA stood on an unashamedly populist platform which stressed New Labour’s abandonment of its class loyalties and called for local action against crime and drug-dealing – against those seen as ‘lumpen’ elements of the local proletariat. All in all, this seems less a municipal dream, more a municipal nightmare. What more needs to be said? Well, this for a start, though perhaps it comes too late to challenge all the negatives – two thirds of residents in Reynolds’ survey liked the estate and had no intention of moving. These contented residents reported they were happy with their homes, their neighbours and neighbourhoods and local facilities. They were also more likely to have relatives living on the estate. A few years later perhaps some of them were stoning the police. I love it here, even if I won the lottery I wouldn’t move. The area is peaceful, it’s lovely and all the neighbours get on with each other, it’s that community spirit. Blackbird Leys has so many facilities for children and adults and there’s a lot to do if you are prepared to go ahead and find it. I don’t claim that these views are representative but they do add nuance. 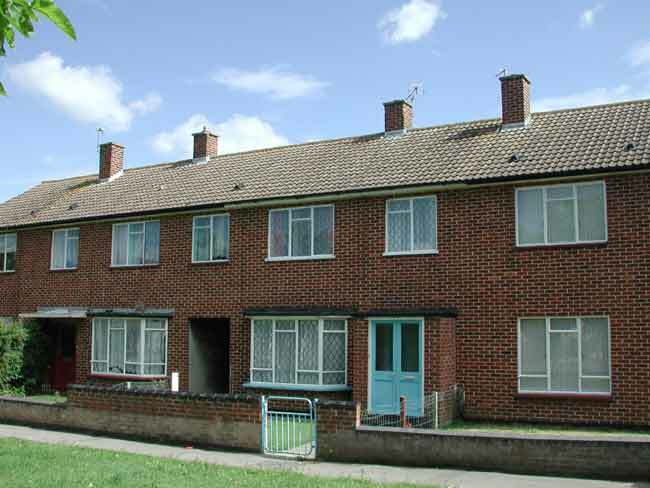 Council estates are not just bricks and mortar; they reflect complex human dynamics within and the impact of – often very difficult and damaging – political and economic currents without. The Glow Tree which evolved out of a community arts project was unveiled outside the Blackbird Leys Community Centre in 2006. But Blackbird Leys has always had a community which has survived its problems and battled the stereotypes. That community exists today in its homes and streets and, semi-officially, in that complex nexus of self-help and state-sponsored regeneration which has emerged since 1997. Crime has fallen drastically, new facilities have been built, black spots eradicated – much has been done (too much according to some disgruntled Oxford residents who feel Blackbird Leys has been singled out for favourable attention) and much remains to be done. If that seems an anodyne conclusion maybe it’s the only one that captures the past and present contradictions of the estate’s story: never the New Jerusalem, nor ever the Hell on Earth that many portrayed. (1) This quote and unattributed quotes that follow are taken from Frances Reynolds, The Problem Housing Estate. An account of Omega and its people (1986) – Omega was the name Reynolds gave the estate to preserve its anonymity. BBC Oxford has pages on the Development of Blackbird Leys and the ‘Community Troubles‘ of 1991. The stills of ‘hotting’ and rioting above are taken from the latter. In 1928, Southern Railway advised ‘there is so much open country all around Grove Park that no one need fear for the present it is going to become a part of London’. (1) This was ironic given that its book was intended to promote the growth of suburbia (and lucrative commuterdom) on London’s fringes. It was also dishonest given that London County Council’s Downham Estate – over 6000 homes when completed in 1930 – was being built just to the west of Grove Park station. Speculative housing built for middle-class owner-occupation did spread rapidly but the remarkable feature of this area of south-east London – for the purposes of this blog at least – is its swathe of what Martin Crookston has called ‘Corporation suburbia’. It stretches west to east, almost uninterrupted, from Downham itself to Lewisham’s interwar Grove Park Estate, to the GLC’s 1960s’ Chinbrook Estate, to the LCC’s 1930s’ Mottingham Estate, and finally Woolwich Council’s Coldharbour Estate, begun in 1947. A brisk 45-minute, two and a half mile walk provides a potted history of a form of housing – the garden suburbs – that, by Crookston’s reckoning, accounts for around one-sixth of English homes and some 40 per cent of the country’s current socially-owned housing stock. Here this amounts to over 11,000 homes. This post and the next will concentrate on a smaller area and two of the smaller estates – Grove Park, a fine example of interwar planning and construction, and the unsung but remarkable Chinbrook Estate, one of the most attractive and architecturally accomplished estates of the 1960s. Lewisham’s contribution to the ‘Homes for Heroes’ drive of the immediate post-war era was limited therefore but it did build a small estate of 86 houses – solid, stripped-down neo-Georgian, two-storey terraces – under the terms of the 1919 Housing Act in Romborough Way, near Lewisham Park. The short cul-de-sac and enclosed green of Romborough Gardens forms a particularly attractive enclave. In February 1925, the Public Health Committee, alarmed by the Medical Officer of Health’s reports of increased overcrowding in the Borough, passed on its concerns to the Housing Committee. The latter identified a 43 acre site, east of Grove Park, as suitable for building. It had been bought speculatively by a local builder from Lord Northbrook in 1923 for £3600. In July 1926 it was acquired by the Council by Compulsory Purchase Order for an arbitrated price of £8825 – almost two and a half times what Mr Durbin had paid for it three years earlier. A reminder of how land values and the market distort our housing provision and how readily private interest profits from public need. Building on the site, undertaken by three local contractors, began in August. Eight acres were set aside as a recreation ground and 1.5 acres for allotments. A site was provided to the LCC for a new primary school; the rest was allocated to housing. And to its credit, the Council determined to build well; to erect ‘the best possible type of house that could be provided in a municipal undertaking’ and at the largest size permitted under the 1924 Housing Act. In the preservation of some of the old trees on the estate and the green in Roseveare Road, and more particularly by encouraging the cultivation and upkeep of the gardens, the Council have endeavoured to ensure that the Estate shall become a real ‘Garden City’. The completed estate has the merit of combining convenience in the planning of roads, spacious and well-appointed houses and harmony in the design and conception of the whole. Roofed with red hand-made sandfaced tiles, the walls of the houses have generally been externally dressed with cement left rough from the plasterer’s float and treated with various shades of colour wash. Doorsteps, window sills and chimney stacks have been carried out in purple and red facing bricks, which blend with the colour of the roofs. In terms of accommodation, two blocks of what the Council called ‘storey flats’ provided 32 of the Estate’s homes but the bulk were solid three-bedroom houses; 136 of the so-called Type B with parlours and 336 Type A, non-parlour. Internal arrangements included, to modern eyes, perhaps some surprising mod cons. Pauline Payne noted an ‘enormous walk-in airing cupboard on the landing’, cupboards under the stairs and, either side of front door, a walk-in cloakroom and a walk-in larder. In the first phase of construction, gas provided lighting for both housing and streets. In the second, electricity was used – the first streets in the Borough to be lit by electricity. In other respects, arrangements were much more of their time although still, presumably, a vast improvement to most new residents. Pauline Payne describes ‘a large iron pot-bellied copper in the kitchen [which] provided hot water for the whole house’. The bathroom (‘absolutely freezing in winter’) was next door to the kitchen with hot water ladled by hand from copper to bath. The toilet stood next to the back door. Upon getting the keys for our first sight of our new home was gloomy indeed as the whole house was painted chocolate brown. For years we had to live with that colour…and even after the war the council only varied the colour to bottle green. This was the other side of municipal housing – the dull uniformity it could sometimes impose on its residents. Public transport was poor in those days as well and local shopping limited but she has happier memories too – Chinbrook Meadows nearby (declared a public park in 1929) were ‘a paradise for children’; the tunnel under the nearby railway another play spot. The war which broke out in 1939 would change much. Its destruction forced the Borough and the capital to build on unprecedented scale. A new politics emerged too, one that – for a time at least – placed the needs of the country’s working class to the fore. We’ll see both play out in next week’s post. My thanks to the Grove Park Community Group and John King for generously supplying some of the historical information within this post. John King’s history of the area provides more detail. My thanks also to Lewisham Local History and Archives Centre for providing additional useful resources and for permission to reproduce some images from their collection. I’ve used Martin Crookston’s book in the library so I’m delighted there’s now a cheaper paperback edition to make it available to a wider readership. I’m even more pleased, truth be told, to have a free review copy but I can say honestly that hasn’t affected my judgment of what I think is a very good, useful and important book on the future of council housing. Crookston’s endeavour is to make sure it has a future and he focuses especially on the cottage estates or ‘Corporation suburbia’. These are a neglected, frequently disdained, component of a proud council housing record – lacking the glamour and ‘iconicity’ of some architect-designed estates and blocks perhaps but representing in his opening words ‘a mammoth achievement’. ‘Mammoth’ is uncontroversial. By Crookston’s reckoning they account for around one sixth of England’s homes and around 40 per cent of the country’s socially-owned housing stock. The pre-1945 estates – when Garden City ideals were in vogue – are generally the more celebrated and form over a quarter of such estates but half were built in the post-war period to 1964 and one fifth later. Taking Leicester (we’ve looked at the Saffron Lane Estate as an example), the Corporation’s twenty-three cottage estates formed about a third of the city’s suburban land and, at peak, some 43 per cent of its suburban housing. ‘Achievement’ is contested and the book casts an unsparing but always sympathetic and humane eye on why that has come to be. In this, Crookston avoids caricature and appreciates nuance (unlike much of what passes as commentary on council housing). He begins with a useful typology of estates. His Type One estates are set in more prosperous regions – his two case-studies are both predominantly interwar estates covered by this blog: Tower Gardens in Haringey and the Becontree Estate in Dagenham. Type Two are estates located in less prosperous areas – Deckham and Carr Hill in Gateshead (interwar) and Hylton Castle in Sunderland (post-war) are discussed in detail in the book. Type Three, he designates ‘Radburnland’ – built in the post-war era when (drawing from the example of Radburn, New Jersey, founded in 1929 as ‘a town for the motor age’) planners were determined to create neighbourly enclaves and to separate cars and pedestrians by a system of cul de sacs, feeder roads and walkways. Bromford in Birmingham and Orchard Park in Hull form the case-studies. It’s fair to say – though many variables intervene and their relative poverty certainly doesn’t help – that Crookston thinks these latter are generally the least successful and shares the consensus view that Radburn principles failed. Orchard Park is described with uncharacteristic sharpness as ‘unattractive housing in an unattractive environment’. The North Hull Estate, adjacent to it, is a reminder of the finer design sensibilities of the interwar period. But the cottage suburbs as a whole have problems and it is Crookston’s mission to understand and remedy these. They are, perhaps, neatly if unwittingly captured by the pronoun confusion of Sir Peter Hall’s foreword. Hall points out, ‘some three million, one in six of us’ live on these estates and yet, he continues, these are ‘”council houses” on “council estates” – the places where none of us would ever dream of living’. That unintended condescension speaks to a wider, largely reputational, issue that the cottage suburbs are unfashionable. Some – though media misrepresentation is to blame for the sweeping stereotype many accept – have broader problems. This is not a static picture, of course. The estates themselves have changed significantly in recent decades, most obviously through Right to Buy. Now around half their homes are owner-occupied but, if this (as Thatcher’s vision of a property-owning democracy presumably imagined) was intended to stabilise the estates it has, as Crookston makes clear, had the opposite effect. Becontree offers a strong illustration: social renting declined from 38 per cent to 35 per cent between 2001 and 2011 while owner occupation declined from 56 per cent to 50. Meanwhile, private rental rose from 6 to 16 per cent. The growth of the private rental sector on council estates is problematic in many ways; the loss of genuinely affordable housing it represents is only the most obvious. Often privately rented homes are more poorly maintained and less well equipped; almost invariably their tenants are transient. Yet Right to Buy (predating Thatcher as Crookston reminds us – over 250,000 council homes were sold before 1979) and the growth of working-class owner occupation from the 1950s have been crucial in shaping the declining image of council housing. Once, without doubt, an aspirational step-up, it has increasingly become seen – I know that many proud council tenants and huge numbers on council housing waiting lists will rightly baulk at the generalisation – as housing for those who can’t afford to buy ‘something better’. 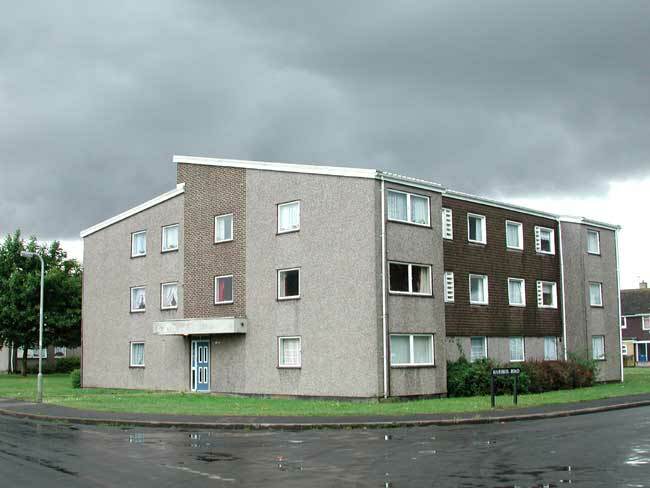 The stigma – obviously far stronger in relation to some so-called ‘problem estates’ than to the many far more ‘ordinary’ council estates up and down the country – attached to council housing is something that we who defend it must address and Crookston tackles the issue head-on. What stigma there was probably attached itself to the visibly poorer and scruffier little terraced streets and – especially – back courts as yet untouched by ‘slum clearance’. And mums on the estate were just as insistent on hankies and proper shoes (not tatty plimsolls) as any in the private semis. However, the label of council tenant was not the key to that, or to our attitudes and experience in general. The estate was different, but it wasn’t that different, and it wasn’t stigmatized. There is more stigma than before…The growth of cheap home ownership around Beddau drained the council housing of its mixed community. And increasing worklessness amongst an unskilled population, when the mining went, has brought a divide within the working class…Now the area is split between a public-sector-employed ‘middle class, a few industrial workers, and a swathe of workless benefit recipients without skills or cars to access the jobs which exist. Another interviewee, raised on a Manchester estate but now an academic in the US, recalls gradations within and between estates but says of his own more ‘respectable’ estate, ‘after the Right-to-Buy period, the estate came to be occupied by what seemed to me to be more marginal families’. Crookston notes this too of Norris Green in Liverpool, a case discussed in this blog. These are subjective views and from, specifically, those who ‘moved on’ and moved away, but they speak to the undeniable fact of residualisation, that council housing became increasingly confined to a poorer working class. Crookston reports that between 1981 and 2006, the nationwide proportion of owner-occupying households in employment fell by two per cent whilst in social housing the proportion fell by 15 per cent (and 21 per cent for full-time employment). Council housing tenants have been hit massively by the deindustrialisation of Britain overseen or engineered (take your pick) by the Conservative governments of the 1980s. There was another factor too of which Crookston is well aware but seems to me to underplay: that the concomitant decline in council housing stock and shift to needs-based allocations – instigated by Labour’s 1977 Housing (Homeless Persons) Act but made wholesale by that decline in stock – did progressively reduce council housing to a safety net role. Its new tenants, particularly on the less desirable estates, were typically ‘more marginal’ – those whose needs gave them priority to this increasingly scarce resource. In this context, Crookston is right to treat the prevalent reports of anti-social behaviour on estates – always dominant in outsiders’ criticisms and, to be fair, prominent in the disillusion of many residents too – with some caution as often isolated and always minority. Now’s not the time to take on that issue – though I would add that I have yet to see a comprehensive explanation of why anti-social behaviour became such a problem from the 1970s and I’d be grateful if any readers could point me to one. What is the case is that anti-social behaviour has dropped very markedly in recent years as each of Crookston’s case studies makes clear. So the task, as Crookston sees it, is to overcome this stigma and stop the cottage suburbs being a ‘lazy asset’, one which is underperforming and failing to realise its full potential. He examines a range of options to do just this, discarding some and endorsing others. I’m pleased that he broadly rejects the idea that estates are failing as communities. This has been a long-running charge, principally from middle-class planners and sociologists who have felt, paradoxically, that estates have either failed to replicate the supposed neighbourly intimacies of the old slum terraces or to fulfil their own middle-class notions of improving self-organisation. Generally, estate communities work in their own terms – they are not, in Crookston’s words, ‘notably socially isolated or short of the “asset” of community resources and effort’. He does recommend – though many councils, ALMOs and housing associations already have a good record on this – a series of case-by-case measures to raise the ‘feel’ of some of these estates, many falling within the broad category of urban management. Many local shopping centres need ‘lifting’ and the estates’ public realm can be better cared for. ‘Problem’ tenants – they certainly exist – need to be better supervised. ‘Soft’ measures such as re-branding (too often crudely applied) can be appropriate. You can read the book for a better and fuller understanding of his balanced appraisal of such ideas. The estate communities could very likely be much more involved, and on many of them that potential may be there. But they need the ‘Corpo’ to be there alongside them, and to be resourced accordingly. needs stressing in Britain in particular: a country where the democratically-elected and properly-funded municipality has been regarded, it seems, as a luxury a poor struggling nation cannot afford. The reality is – or should be – that this is investment we cannot afford to neglect. Finally, he takes on more controversial issues of densification and social mix. I think he makes a plausible case that a lot of the open space in many cottage suburbs – created well-meaningly in the low density idealism of Tudor Walters (the 1918 report which established the interwar conception of the cottage estates) and beyond – is poorly managed and under-used. There is a case for building good quality housing on some of this open space and using more intelligently that which remains. In terms of social mix, he favours the current mantra, tenure diversity. That, in itself, should hardly be controversial as it reflects, as we’ve seen, a fact on the ground. It’s also worth pointing out that quite a few estates were built with homes for sale or, in some cases, larger homes for middle-class rental. If Nye Bevan himself wanted ‘the living tapestry of a mixed community’, it shouldn’t frighten us. What this doesn’t or shouldn’t mean, as Crookston argues, is ‘gentrification’. It is really, I would suggest, about returning estates to an earlier condition in which a broad mix of the population were proud to call them home. That, of course, would be best achieved by a fairer and more equal society and one in which, in particular, working-class people enjoyed better-paid and more secure employment – ironically the world we thought we were winning after 1945 and have so cruelly betrayed since 1979. Pending that meta-economic shift, Crookston’s ameliorative measures are to be welcomed and embraced and the book itself deserves to be widely read by anyone with an interest in council housing and the future it deserves. Garden Suburbs of Tomorrow? can be purchased in good bookshops and online or directly at reduced price from Routledge. Enter the code FLR40 at checkout to secure your discount. Clink on the link to see the many cottage suburbs featured in this blog over the years. ‘Decent people living on a decent estate’ – that’s how Carole Bell, a Meadow Well community activist wanted people to think of the Estate in 2012. Unfortunately for her, they were more likely to remember the riots that ripped the community apart in September 1991 and the stigma attached to the Estate before that crisis and for some years after. There’s much that’s been written on Meadow Well before the riots and since, most seeking to explain its poor reputation and troubled history. This post will examine and assess those accounts and look at what’s happened on the Estate since then. The protests which followed rapidly degenerated into looting and arson; emergency services attending were attacked. In all, it was said that some 400 people were involved; 37 were arrested. In the aftermath, the Estate became a focus of national concern – belatedly, it might be claimed – and international interest. Much has happened and a lot has changed since but let’s examine a very specific housing history first. Meadow Well (also called Meadowell, interchangeably as far as I can tell) was part of the County Borough of Tynemouth, formed in 1849. This was an unusually mixed borough, comprising the resort of Tynemouth, large areas of middle-class suburbia as well as the working-class and industrial district of North Shields. While Lib-Lab politics dominated before 1914, for most of its life the Council (dissolved into the Metropolitan District of North Tyneside in 1974) was under the control of Independents and Conservatives. That politics (and the fact that in 1912 two-thirds of councillors had interests in the private housing sector) might explain the Council’s reluctance to build before the First World War. A housing scheme proposed on land acquired at Balkwell Farm in 1912 was opposed by Conservative councillors. Councillor Plummer thought that to ‘put houses on the market at a rent nobody could compete with was not fair to the owners of property…The scheme was not at all fair to the middle class people’. the filth and dirt people live in. This is the evil, not the condition of the house. Put some of these people into Alnwick Castle and by the time they have been there one month it will be a slum. These views are not merely of quaint historic interest, of course. Similar views – that council housing is subsidised by the better-off (though it isn’t), that inflated market rents are somehow sacrosanct, and that council tenants are feckless – inform a lot of current thinking around social housing and its residents. In 1919, however, even Tynemouth’s councillors were swept up in the national drive to build ‘homes for heroes’. The Council determined that 1746 new council homes were required to address the Borough’s housing needs in the next three years and the Balkwell scheme was revived. Its early phases, built under the generous terms of Addison’s 1919 Housing Act, represented deliberately high-quality working-class housing and, by the end of the 1920s, the Estate would comprise 562 two-three bedroom houses, semi-detached or in short terraces, and 100 flats. it would be the height of folly to leave a skilled artizan and highly worthy citizen in his present cramped and inadequate home in a dingy street, a home which he fain would leave for one better and for which he would willingly pay a higher rent, and to build houses of a type superior to it, and let them at utterly disproportionately small rents to the dwellers in slumdom. The intention – in a filtering up theory that was common among early housing reformers – was that the homes vacated ‘would be at once occupied by persons now living in houses of a still more inferior character’. Meanwhile, the Borough’s housing efforts rapidly faltered. In fact, only 524 homes were built by 1922, some 924 by the end of the decade. The Council had even disbanded its Housing Committee in 1928 but it was re-established in 1930 as central government’s second interwar housing drive – slum clearance – took off. A five-year plan drawn up in 1930 projected the construction of 850 new council homes. In 1932, the Council purchased a 135 acre greenfield site on the north-western fringes of North Shields from the Duke of Northumberland. This was to be the Ridges Estate – the original name of Meadow Well and one by which it is still sometimes known. The new estate contained 1961 homes. Forty of these were old people’s bungalows, 268 were self-contained houses and 1653 (84 per cent) were so-called Tyneside flats, common in the area – two-storeyed dwellings with flats top and bottom and separate ground-floor front doors, built in blocks of four. There is some truth in this explanation. The Balkwell Estate remained a more popular and highly thought-of development; the stigma of Meadow Well’s poorer housing persisted. But, in broader terms, the explanation is at best insufficient. National legislation had mandated lower quality council housing since 1923 and more so in the 1930s as the focus turned to rehousing slum dwellers. In this Meadow Well was not notably atypical and, to be valid, the explanation of later disorder would have to hold true for many estates across the country which manifestly it does not. When I went into that house and saw the bathroom and all that, well, I just broke down; I couldn’t help it because it was such a pleasure to know we were getting to where we were. It was marvellous. It was a lovely place; everyone had their gardens done, no fighting, no animosity amongst anybody. 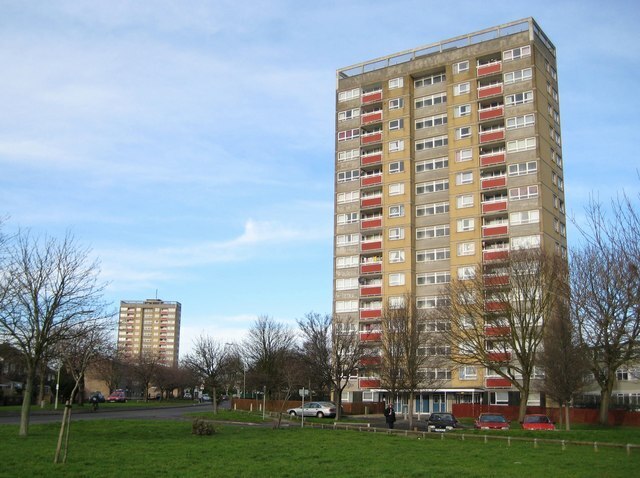 Conversely, the Estate had none of the ‘design disadvantage’ Alice Coleman cited to explain antisocial behaviour in the 1980s – high-rise blocks, anonymous walkways, lack of ‘defensible space’, and so on. If Coleman’s monocausal account of later problems is mistaken (she really was only interested in attacking modernist design), we need to look at what else might have ‘gone wrong’ at Meadow Well. Another explanation – also used more widely to account for ‘problem estates’ – seems superficially more credible: that the Estate was, from the outset, a ‘dumping ground’ for ‘problem tenants’. This was, after all, the ‘rough’ working class, decanted from the poverty-stricken Banksides, and the sea-faring occupations of many male heads of household left the Estate’s womenfolk to cope alone, effectively as single mothers. The symbol and, to outsiders, confirmation of these rough origins was the fumigation of the furniture and effects of all incoming tenants but even this needs scrutiny. Ann Hodgson, a long-term resident of the Estate, understood the stigma of this compulsory cleansing and how others looked on it, but she welcomed it as (in literal terms) a fresh start. I had a thorough walk around the Ridges estate, the sun was shining…and the atmosphere was full of optimism. The first resident I decided to have a few words with…invited me inside the living room to have a look at the house. The room was neatness itself with new furniture in the best of taste. In the same year, the Borough’s Medical Officer of Health concluded that ‘the cleanliness and tidiness of the dwelling houses on the new estate more than confirms my opinion that slums are not the product of the inhabitants’. Statistical analysis also undermines the ready negative characterisation of the Estate and its people. Only 31 per cent of its displaced slum dwellers came from the Banksides; nor were seafarers disproportionately represented on the Estate. Even the crude measure of rent arrears – an indication of those unable or unwilling to pay – disproves the stereotype: the arrears of Meadow Well tenants were just 0.4 per cent higher than the Tynemouth average. Regardless of the objective reality, a significant and influential body of opinion had already determined that the area was a ‘problem’ and was bound to be a problem because of the nature of the people who moved there and the nature of the areas they moved from. 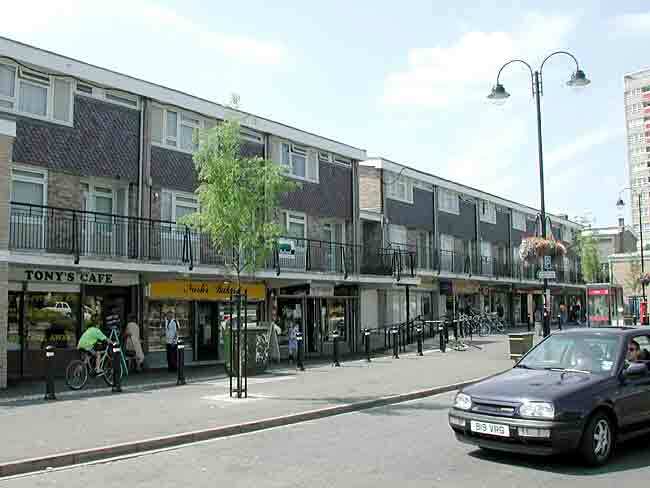 We see some of the same dynamics in play in the Knowle West Estate in Bristol and the North Hull Estate. If we reject the idea that Meadow Well suffered some Original Sin that would explain its later fall, we need to look more carefully at what happened to the Estate in the post-war period. We’ll do that in next week’s post. Special thanks to Steve Conlan for providing and allowing me to use in this post and the next some of his fine images of the Estate taken in the late 1980s and early 1990s. You can see more of Steve’s work online here. (2) These quotations and much of the detail which follows are drawn from North Tyneside Community Development Project (CDP), North Shields: Working-Class Politics and Housing (1977). Documents from the North Tyneside CDP can be downloaded from the website of Purdue University, Indianapolis. The full collection of CDP records are held by the Tyne and Wear Archives. (5) The quotation comes from North Tyneside CDP, North Shields: Working-Class Politics and Housing. (8) Quoted in Barke and Turnbull, ‘Meadowell and Mythology: the Making of the “Problem Estate”’ which also provides the statistical analysis which follows. My thanks to Dr Ruth Cherrington for this follow-up post to her contribution on the origins of the Canley Estate last week. Ruth runs the Club Historians website and is the author of Not Just Beer and Bingo: a Social History of Working Men’s Clubs. You can follow Ruth on Twitter at @CHistorians. My parents moved to Canley in December 1948 having been allocated a brand new three-bed British Iron and Steel Federation council house there. We looked at these so-called ‘steel houses’ and the early development of the Estate in last week’s post. They left behind their shared lodgings in the older district of Foleshill, with its emissions from the local gas works and back-to-backs. But they also left behind close family and friends. What did they bring with them? A few belongings, three small children and another one very much on the way: mum was eight months pregnant. They also brought with them working class values and way of life. At first, mum thought it was ‘lovely’ to see the boys enjoying the relatively spacious house and garden (though just mud at this point) nearby after the former crowded conditions. She wasn’t so happy about field mice also running around but they soon left. My parents stayed for the rest of their lives. But my mother felt isolated. Hearing the trains on the nearby railway line was a relief: she felt ‘there was some life in the place after all, it wasn’t just a dead end.’ But it did feel like that at first. Many women on new estates up and down the country felt the same. It was quite an expedition for mum to visit her own mother with four bus journeys needed there and back and four children in tow. Canley buses terminated in the ‘bottom’ part of Canley back then, which made it even more of a trek. My grandmother visited as often as possible as did my dad’s mum. Their help was welcome as babies arrived, right down to the seventh, myself. Mum lost her mother when I was only six. I clearly remember her anguished cry of grief when told the news. It was a huge loss to her on so many levels. Housing was the priority and the rest, it was thought, would come later. Homes had been built quickly but people need more than a roof over their heads in order to lead full lives. The town planners designed the estate to promote sociability. But did it? A group of researchers led by Leo Kuper in the early 1950s studied a part of Canley they called ‘Braydon’. They found typical conflicts and friendships as families settled into the new estate. The thin walls of the BISF houses through which you could hear what was going on next door and vice versa were disliked. There were complaints about the ‘back’ door actually being a side door opening out towards your neighbour’s. You could see over to their side of the fence and, if the door was open, into their house. As time went by, people put up high fences to block this intrusive view. The new houses were seen as lacking privacy and perhaps disappointing in that respect. People didn’t want ‘strangers’ knowing their business. Some families appeared as ‘stuck up’ and distanced themselves from others. Perhaps they saw themselves as socially above the majority of working class tenants. My mother was friendly with some of our neighbours but not with others. Some helped her out with the kids though they had their own and gave her some support. Some life-long friendships were formed from a very early age amongst the children. Many made playthings such as trolleys from what they could find or ‘scrounge’ which they then shared. Mostly kids played together on the street, in each other’s houses and gardens and boys often formed ‘gangs’. They would be off into the woods or down the brook as often as possible. But what did the adults do? My father was typical in returning to former watering holes back in Foleshill in the early years. Many men maintained links with mates, pubs and communities elsewhere as there was little on offer in Canley. The Phantom Coach, at the bottom of Charter Avenue, was never destined to become a ‘local’. An older pub from the city centre, The Dolphin, moved to a green wooden hut in Sheriff Avenue in 1941. Whilst being a bit closer for men on our part of the estate, it was not as appealing as the well-established pubs they were used to. Dolphin regulars were more likely to be those in the immediate vicinity. A new pub was built in our end of Canley in 1951– The Half Sovereign. Surely this would be the local that men had been waiting for? Yes and no. By this time a social club had been established which was already very popular and had boosted a sense of community in Canley. The new pub had to compete with the Canley Social Club, which was right opposite our house. Coventry is a good case study of clubs and community building and the Canley Social illustrates this well. The Council was quite radical in the early redevelopment of the inner city and the outlying estates, deeming it necessary to provide sites for residents to establish their own clubs. Seeing these as potential community centres, they allocated five plots of land on new estates. The Council went further, taking a ‘Coventry City Bill’ through Parliament to allow the financial arrangements for these new clubs to be obtained through city funds. Canley men wasted no time in setting up a club on the Marler Road plot. The first proposal was submitted on 16th December 1948, the month my parents moved to Canley. The Council approved this the following July. This drawing was the basis of the club as it developed with a billiards room, a hall for concerts and bar. Money and building materials were scarce but enthusiasm in plentiful supply with locals keen to have their own club to use and run. An application in October 1949 was approved for a ‘temporary structure’ to be erected which was to be made permanent no more than ten years later. Canley Social Club’s founder members bought and put up themselves ex-Ministry of Defence wooden huts. The small club was open for business in 1950 and my father was an early member. It was the much-needed social venue for estate residents, somewhere to come together, make friends and experience the type of communal life they had left behind. The wooden hut served us all well during its lifetime before being replaced by brick buildings in the late 1950s. Locals recall a warm atmosphere with a lot going on for families, from boxing lessons for boys to bagatelle for the men. There were ‘free and easy’ concerts, ‘housey housey’ and children’s parties, all self-managed. We looked forward to nights out over the club, the Christmas parties and annual coach trip to the seaside. For many, this was the only time they would visit the sea. Canley researcher Leo Kuper saw the club’s potential and was correct in thinking that it would be more popular than the purpose-built community centre in Prior Deram Walk. As well as out-performing the community centre, the Club was up and running before there was a church on the estate. What was their role in community building? Canley was described as a ‘godless’ place with no church before 1952 when Canley Methodist Chapel opened in Prior Deram Walk. In 1955, St. Stephen’s C of E church opened, ‘our’ side of Mitchell Avenue. When he consecrated St. Stephen’s, the Bishop of Coventry, Dr. Neville Gordon, described it as ‘a new outpost from which Christian witness would spread’. He said ‘there were a mass of souls around the church in very great need of God’s mercy and truth’. They had lost contact with the Church when they moved to the district and had been ‘drifting aimlessly’. He urged the congregation to pray not only for themselves but the whole community. It may have been the hard experiences of the Depression closely followed by the battering of war rather than the move to Canley that had caused some of my parent’s generation to become ‘lost souls’. Family, work, having a good time at weekends and keeping out of debt were the main preoccupations. Religion was mostly about the rituals of christenings, weddings and funerals. Those active in the congregation developed their own small community. Some of them were also club-goers but not all and in this sense there were distinctions between where people’s allegiances lay. After years of being ‘godless’, Canley now had two churches. Then another came along, next to the Half Sovereign Pub. Its origins date back to 1950 when a group of young evangelical Christians decided to hold children’s services on a patch of open grassland on the newly built estate. These meetings proved so popular that a regular Sunday school was opened in the nearby Charter Primary School. More regular services were started and planning began for a permanent church building but there was no suitable site available. Divine intervention perhaps came to their rescue as the brewery that owned The Half Sovereign were returning to the Council a plot of land they didn’t need. It was the very same patch of land where the open-air meetings had been held. This was purchased and the Gospel Hall opened in 1956. Children enjoyed Sunday School there because they saw and made friends and could win prizes such as chocolate and books. Harry Hollingsworth lived in nearby Mitchell Avenue and was an early Sunday School leader. He remembered ‘the tremendous sense of community in the early days – a sense of oneness’. Wednesday night’s ‘Happy Hour’ saw lively young audiences. We enjoyed singing the songs and learning about the Bible in a more interesting way than at school. When asked to find certain passages in the Bible, the first person to do so would shout ‘got it!’ and win a prize. In some ways, it was like going to the club with these communal activities and experiences, which we remembered fondly for years afterwards. Another reason for sending children was so that busy mothers could have a few hours respite from their domestic chores. Shops are also community venues and places where people can meet. We had the ‘little shops’ consisting of a newsagent, Post Office and hardware store, chemist, grocery and a greengrocery. At Prior Deram Walk were the ‘big shops’ with a few more options including a Co-Op. Whenever we were sent there, mum always reminded us to collect the ‘divi’ stamps. Other traders regularly did the rounds. Fifty years ago there were doorstep deliveries without the internet. There was the milkman, baker, coal merchant, Corona pop delivery and ‘Snowball’ laundry service. The ‘green van’ came round the estate selling fruit and veg. People complained about higher prices but these mobile traders saved a trek to the shops or town. Convenience, it seems, always has its price. Few people had cars, especially women, in the 1950s. Going down the local shops or even to the ‘green van’ on the street could be a small gathering, a time and place for a bit of a chat. Even such short meetings helped increase sociability and sense of community on the estate. Canley did develop as a community, perhaps several given the divides of the pre-war ‘bottom’ end and post-war ‘top’ end of steel houses. There were those whose social lives were centred around the Club whilst others were more ‘churchy’. It became a place to call home as time went on with more amenities, services and schools. Gardens bloomed, as did friendships, courtships and marriages. There were the teething troubles of any new estate and later on the deep problems caused by industrial decline and social change. That part of the Canley story will be told another time. I’m very pleased to feature another fine guest post (and would welcome others), this one from Dr Ruth Cherrington. Ruth runs the Club Historians website and is the author of Not Just Beer and Bingo: a Social History of Working Men’s Clubs. You can follow Ruth on Twitter at @CHistorians. I wasn’t sent to Coventry: I was born there. Though I left a long time ago I regularly visit family still living there and the familiar sites of the estate where we grew up: Canley. We can take ourselves out of our childhood homes, but do they ever really fade away from our own sense of attachment and place? For me, the answer is a resounding no. I’m still very much a ‘Canley kid’ at heart after all these years. I’ve seen many changes, of course. But the constants are clearly visible such as the strong element of working class identity that remains, though now embattled in many ways. I’ve been in a good position to observe the life and times of Canley given my lifetime’s experience of this former council estate. From my recollections and observations I have compiled a two-part blog about the place where I grew up. I write about what made Canley similar to other post-war housing estates but also what made it special not only to me but also in historical terms. What and Where is Canley? Canley existed long before Coventry Corporation bought 20,000 acres of the land from local landowning family, the Leighs, in 1926. It is mentioned in Medieval documents, linked to the nearby Fletchampstead, Westwood, and Stoneleigh estates. These historical aspects are important, reflected as they are in names of roads and schools but also in the attempt to design into the new estate a village feel. The Canley we now see is largely the result of a pre-war vision of a ‘planned neighbourhood unit’ on the outskirts of Coventry. Building began in the 1930s mainly to rehouse people from city slum clearance programmes but the war halted construction. It continued with renewed haste thereafter, especially given the severe bombardment Coventry suffered. The first bombs to fall actually landed in the industrial area of Canley on August 18th 1940. Residential areas were badly damaged such as the older district of Foleshill where my parents, still single, were living with their families. Over 41,000 homes were damaged, many destroyed completely and 550 people lost their lives. It has been said that the German bombers continued what the town planners had begun before the war – the wholesale modernisation of the city. Coventry Corporation had intended to implement grand designs for a new city centre surrounded by healthy suburban estates such as Canley. The war left a scarred landscape and a severe depletion of the housing stock. 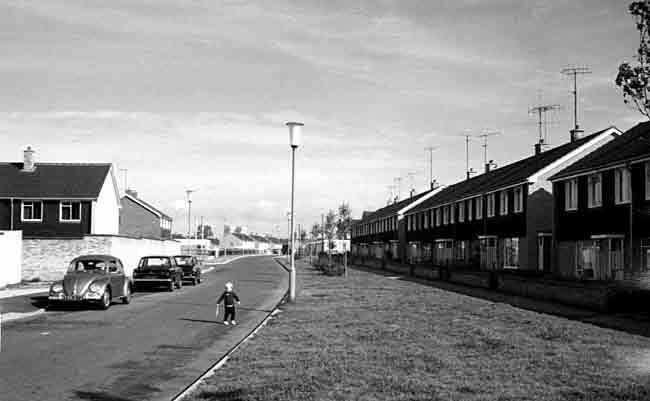 Resuming the construction of Canley was part of the post-war drive to provide new homes. The pre- and post-war parts of the estate not surprisingly have a different look to them reflecting the changed contexts of the grand 1930s plans and the pressing post-war needs. Growing up there in the early 60s, the countryside never seemed too far away. We kids were often out and about, playing in the woods, making dens and tree swings, watching cows graze in farmers’ fields and scrumping in nearby orchards where Warwick University and Cannon Park shopping centre now stand. There were brooks to jump across (or fall into regularly in my case) and an old Roman ford near to the busy A45. There were two woods very close to our house. Ten Shilling Wood was so named because that was how much a licence cost to shoot there in former times. Park Wood was at the top of our street though we never called it by its proper name: I’m not even sure we knew it then. To us it was the ‘top wood’ with Ten Shilling Wood being the ‘bottom’ one. Park Wood was also known as the dark woods or the bluebell wood because of the wonderful displays in springtime when we would collect huge bunches for our mothers. Both woods were remnants of the ancient Forest of Arden. Canley has three main ‘boundaries.’ Fletchamstead (N.B. Modern spelling) and Kenpas highways, comprising part of the Coventry Bypass (A45) was one of these. This major route links Coventry to Birmingham in one direction, and ultimately to London, about 100 miles away, in the other. There were older parts of Canley on the other side of the Bypass, however, including some pre-war council housing along Burnsall Road from the early 1930s estate construction period. There is also Canley station, formerly Canley Gates, opened mainly for workers at the Standard Motor Works in 1940. This is on the main London to Birmingham railway line, which forms another Canley boundary. Constructed between 1833 and 1838, the railway cut through number of farmer’s fields and several small bridges and crossing points were put in place as access for the farmers and their livestock. Rather than being used to move cows between fields, it’s now a main thoroughfare from Canley to Tile Hill and beyond. Charter Avenue, the main road into and out of the estate, forms the third boundary. It begins at a junction with the A45, marked conveniently by the Phantom Coach pub. This is typical of many built in the interwar years, being spacious when compared to older city centre ‘boozers’, with gardens back and front. It was intended to serve the expanding new estate as well as to pick up passing trade from thirsty travellers on the A45. Moving westwards along Charter Avenue, we see all key Canley estate roads branch off to the right hand side in ribbon style development. The road is a dual carriageway as far as Mitchell Avenue, where building stopped before the war. This also represents an internal ‘border’ within Canley, marking the older from the newer part, the top from the bottom end of the estate. Charter Avenue continues as a single carriageway from there till it ends about a mile later at the junction with Cromwell Lane. This marks the edge of Canley and in the past of Coventry City’s limits. Charter Avenue is Canley’s main road and buses to and from the city centre still pick up passengers from stops along here as they have always done. Coventry was in many ways a ‘city of factory workers’ with so many engineering plants, some of them in the Canley area. It was arguably one of the most industrial cities in Europe and my own ancestors had mostly pitched up in Coventry looking for industrial work of various kinds in the late 19th and early 20th centuries. 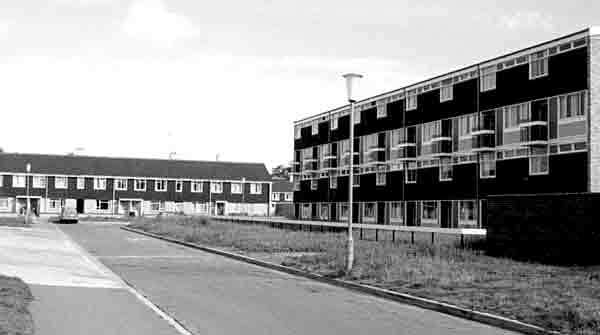 Canley was also to be all council housing, offering decent homes for the workers many of whom were living in overcrowded conditions in older parts of the city. Some residents were to be migrants from other areas of the country in search of work. Industrial Coventry had long been a magnet for those thrown out of jobs, whether from the mills of Lancashire, shipbuilding yards of Tyneside or collieries of South Wales. Coventry welcomed skilled and unskilled labour and Canley would count among its own resident a broad mix of people from across Britain. Canley is, without a doubt, a very healthy housing estate. It is already becoming attractive in appearance, for many of the front gardens of the first 100 houses built are a mass of colour. Clearly the residents had been very busy in their gardens. The good-sized gardens front and back were for the men to grow not only flowers but also vegetables and to breathe in fresh air. They were for kids to play in but there were plenty of planned green spaces as well. The houses were mostly redbrick, semi-detached, typical of those being constructed across the country. Coventry planners aimed to avoid ‘displeasing uniformity’ by building in blocks of four, some of them being set back a few feet. Variety would promote ‘beauty and harmony.’ Different colours were used for roof tiles and also for the doors and the pebbledash. No two blocks were to be painted the same. Inside the one, two, three and four bedroomed houses there was light and space, fitted cupboards, storage space, picture rails and kitchen ranges. The houses were the sort of suburban home middle-class couples might aspire to buy but these were not for sale. Nearby this new ‘township’ was a row of shops, which were later on referred to the ‘big shops’ after the construction of the ‘little shops’ in the post-war part of Canley. There was a brand new primary school as well, named after the son of local tenant farmers, Sir Henry Parkes, who grew up in nearby Moat House Lane. He went on to become Premier of New South Wales in 1872. 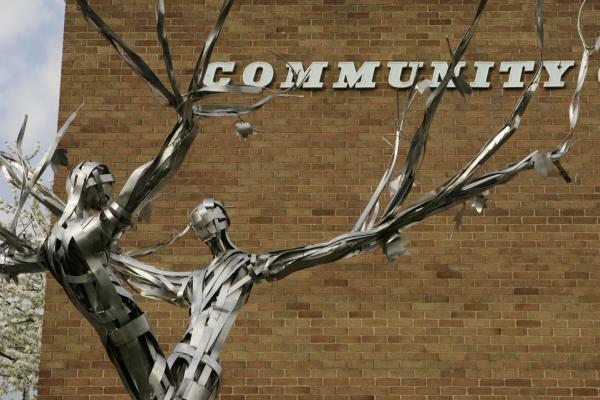 A statue of a kangaroo was erected in front of the school to mark this link. A small public library was also built next to the school. Two and three bedroomed redbrick houses were built along Charter Avenue as far as Mitchell Avenue. A few houses were built just inside the new turnings intended to be fully-fledged streets but the war came and these were put on hold. To us locals, they were simply steel houses, built around a steel frame with part of the outside cladding steel as well. They are ‘non-conventional build’ because they are not brick with slate tiled roofs. Whilst the materials may be non-conventional, they are, in fact, traditional three bed, semi-detached houses. They were also meant as permanent, not temporary homes and differed from wholly prefab houses. A plot of land near Prior Deram walk saw several rows of steel houses go up, around Thimbler Road and Sheriff Avenue. Some prefabricated bungalows were erected along John Rous Avenue and Mitchell Avenue thus largely finishing more quickly and cheaply the construction of Canley. The prefabs have long since been demolished and replaced with brick houses but the steel houses remain. The prefabs were praised in a Coventry Evening Telegraph article in 1945 (October 30th) as the ‘Coventry’ experiment. Not only had the Corporation ‘pioneered a house of novel construction and design’, but had cut through red-tape. This referred to the fact that the plumbing system contravened building by-laws, but the pressing need for housing was seen as justification. The compact homes were described as cosy due to good insulation, with no wastage of space: much research had gone into their design and construction. Coventry’s Lord Mayor described them as being good for housewives. By easing their burden, he believed the homes made a great contribution to society and also recognised the part women played in the war. Many women had worked in ‘men’s jobs’ but in peacetime were expected to return quietly to the home and domestic roles. In the late 1950s and early 1960s several four storey blocks of flats were built plus some maisonettes in Donegal Close and Penrosa Walk. This renewed building in streets behind the ‘little shops’ and also further up Charter Avenue was done in a thoughtful manner, with variation of style and of colours. The aim of providing light, airy houses, large gardens and green spaces remained as Canley expanded with the view that creating a better environment would create better people. Canley was still a planned neighbour, despite the war intervening, and was a practical example of current town planning ideas and ideals. I will consider in the next blog to what extent the blueprint of architects and planners succeeded in promoting a sense of community across the pre- and post-war built estate. (1) You can find more images and detail on post-war British Iron and Steel Federation homes at the BISF website.